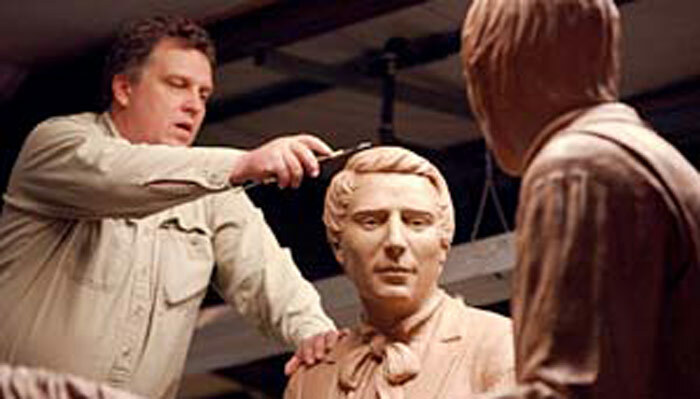 Blair Buswell is a sculptor, former BYU football player and member of The Church of Jesus Christ of Latter-day Saints. Buswell is known for his sculptures of over 100 inductees to the NFL’s Pro Football Hall of Fame. Many of his portrait busts are on permanent display in Canton, Ohio at the museum for the Hall. He has created sculptures of Jerry Rice, John Elway, Bill Parcells, Brett Farve and many others. In 2017 he sculpted the likenesses of Jerry Jones and Kurt Warner. 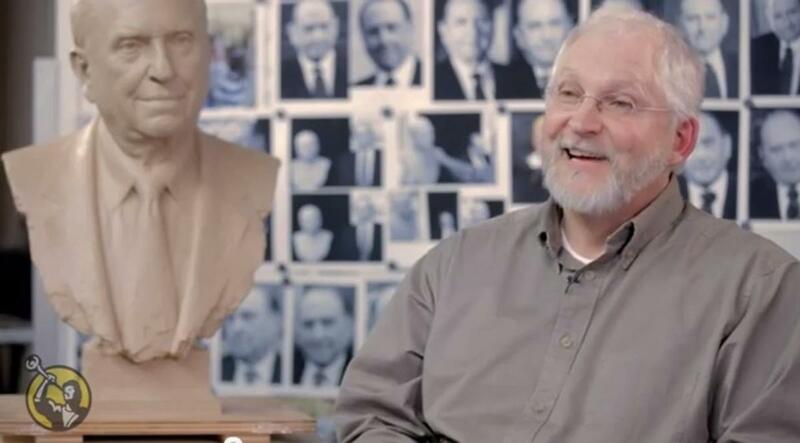 Originally from North Ogden, Buswell is also the sculptor of the life-size bust of President Thomas S. Monson that can be found in the “Hall of Prophets” in the Conference Center in Salt Lake City, as well as the bust of Harold B. Lee also found there. Buswell and his wife, Julie, have three children.